PROV 1:7 — "The fear of the Lord is the beginning of knowledge, but fools despise wisdom and instruction." A deep respect for God and a desire to know more about Him is the starting point of the journey to eternal life. Our 12-Lesson Bible Study Course, available online and in print, aims to guide you to a clear understanding of the Bible, the preserved, written testimony of faithful writers led by the Spirit of God. Our Quizes have been prepared to highlight important points from each lesson. Taking a Quiz both before and after you study will help you focus on the important aspects of the lesson and allow you to review what you have learned. We hope you enjoy studying the Word of God with our Bible Lessons. Lesson 3: Why Did God Create Mankind? Lesson 4: Why Does God Allow Suffering? Lesson 5: Is There Hope for Human Survival? Lesson 6: What is the Gospel of the Kingdom of God? Lesson 8: What is Christian Conversion? Lesson 10: What is the Church? Our secular society has come to the point where it basically ignores the Bible as the instruction book for personal character. Truth has become relative in this age. In the energetic pursuit of material possessions, humans are ignoring spiritual development. This lesson addresses the questions of God's existence, why humans were created in the first place, and an overview of the Bible itself. Increase your Bible knowledge with our online Bible Commentary. Designed to help you organise your personal study of the Old Testament, each chapter is considered in its historical and textual context to bring out the purpose and meaning of the inspired Word of God. Understand the Bible like never before, and enrich your Daily Bible Reading program! 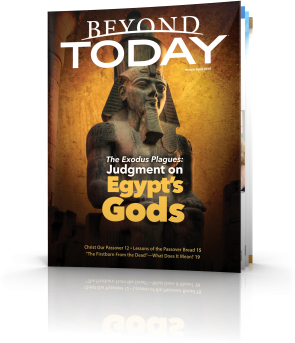 Evidence from archaeology is one great proof of biblical accuracy, and it is the focus of this series of articles. We offer you a sampling of the evidence that is available—documentation showing that details of the people, places and events described in the Bible—many of them mentioned only in passing—have been verified by archaeologists and historians. The study of archaeology can help fortify faith. It allows us to take a fascinating journey back in time to study the stones and artifacts that bear mute but compelling witness to the truth of Scripture. This series examines the discoveries that parallel and illuminate biblical accounts.